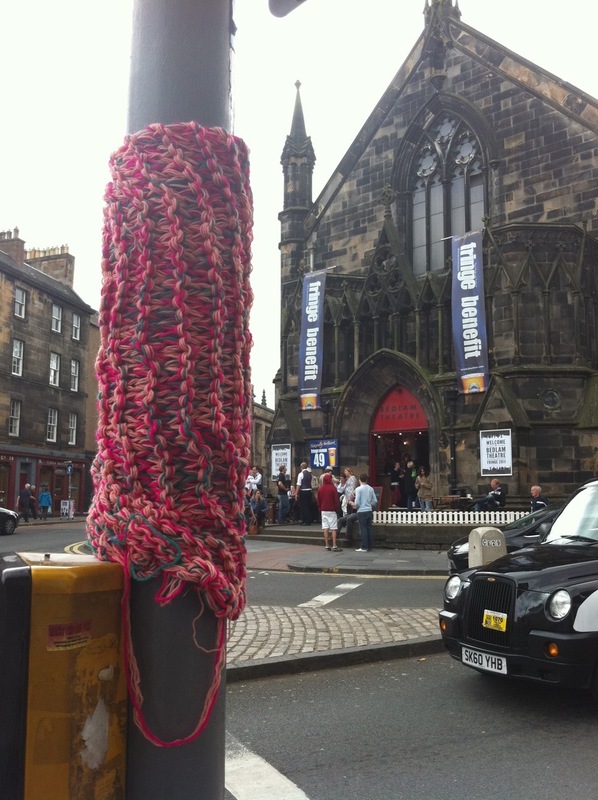 There are many reasons to love Edinburgh in August – random acts of knitting is one of them. On the way to the Book Fest I walked past a knitted lamppost outside a Fringe venue, comfortably nonchalant in it’s new jumper. I’m reliably informed by Twitter that this is Yarn Bombing, and that it springs up all over the world. In the evening, I was chairing an event with debut Sydney author Kirsten Tranter and Guardian First Book Award winner Dinaw Mengestu. Their novels are both stories of escape and discovery, of isolated characters trying to make sense of their place in the world, and each ranges across borders as the reader unravels the complicated tangles of their relationships. We had spent our hour chatting about the nature of memory and how we re-create our histories as we seek to define ourselves, supplemented with engaging questions from the small but attentive audience. As a chair person, your role is simply to steer the flow in conversation, allowing the author to open up and really introduce us to the characters and topics that populate their narrative. You also have to ensure that the authors are comfortable and happy, that they enjoy their Festival experience from the moment they check in to the Yurt until they complete their book signing and head to the Spiegeltent for a whisky. In Dinaw’s case, he headed to the Literary Death Match, a fabulously funny and inspiring evening that was Day 10’s late-night Unbound session. Audience members held the scoring in their hands, as contenstants had to guess the identity of the authors on the cards they held – each one they got right gave them a different number of points. 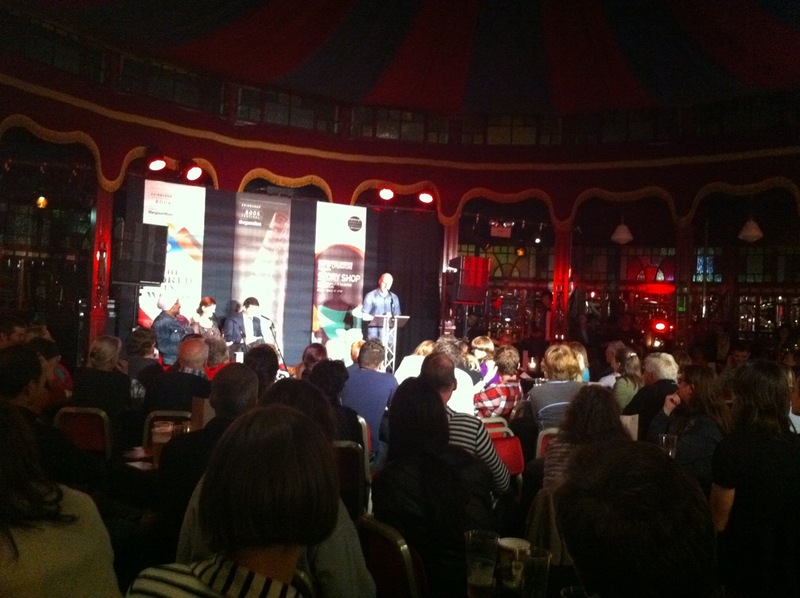 In this eccentric finale, Christopher Brookmyre was triumphant, and was crowned Edinburgh’s Literary Death Match King at one of the best Unbound nights of the year. We’re now past the halfway point at Ed Book Fest, and the second Monday is sometimes a bit of a struggle, energy-wise – not that you’d notice from the outside. It’s the first day of schools events, the site is very busy and, well, it’s a Monday. To combat this fatigue, it was necessary to eat a lot of cupcakes. This method was successful, and I now contain enough sugar to pull me through the next seven days. 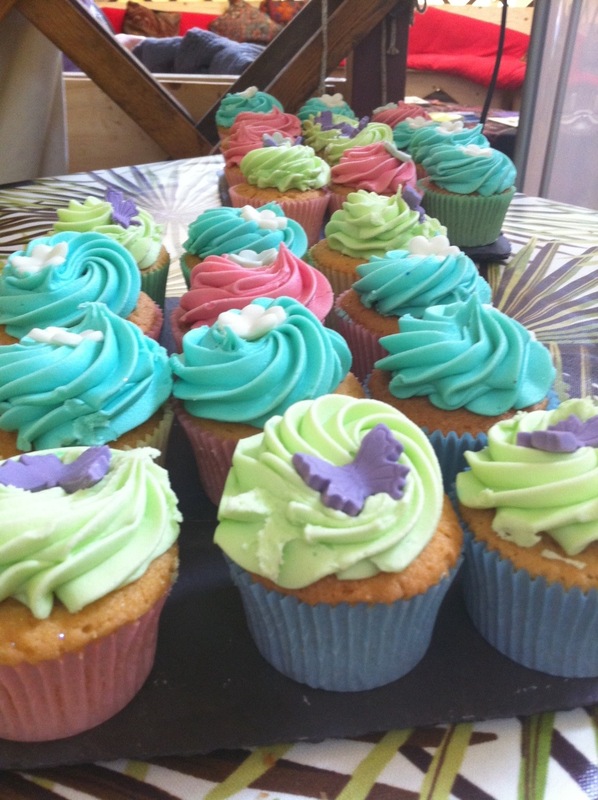 These lovely cupcakes are sold from the Spiegeltent, and will keep a child bouncing off the ceiling for 46 days. These shoes transcend any Top 5 lists – they are pretty and coppery and really rather battered from love and wear. Having just chaired an event, I opted to photograph today’s shoes on a chair outside the Spiegeltent, before heading to see the Literary Death Match at Unbound. There were three shoe challengers, in the form of author Nicola Morgan, @Bookshop_Becky and past EdBookFest Children’s Director Sara Grady. 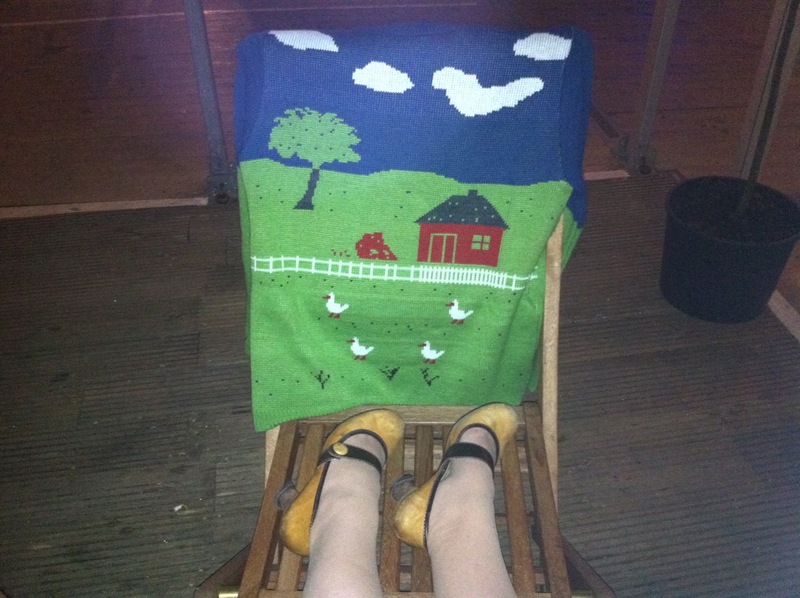 The shoes take priority, but the knitted theme continued: Front of House Manager Dom was wearing an excellent jumper reminiscent of those ones that guy from Rainbow used to wear, or Fred the Weatherman on the Richard and Judy show.